“Black Magick” : Libel Action Against Authoress Crowley v Constable and Co., Limited and Others. Before Mr. Justice Swift and a Special Jury. 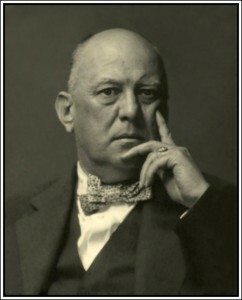 The hearing was continued of the action by Mr. Edward Alexander (Aleister) Crowley, an author, of Carlos Place, Grosvenor Square, W., against Constable and Co., Limited, of Orange Street, WC, Charles Whittingham and Griggs (Printers), Limited, of Brunswick Park Road, London, and Miss Nina Hamnett in respect of an alleged libel in a book entitled “Laughing Torso,” published, printed, and written by the defendants respectively. Mr. Crowley complains that in “Laughing Torso.” Miss Hamnett stated that he had had a temple at Cefalu, in Sicily, where he was supposed to have practised Black Magic. The defendants deny that the words complained of were defamatory and further plead that, in fact, if they were, they were true in substance and in fact. Mr J. P. Eddy, Mr. Constantine Gallop, and Mr. F. A. Lewis appeared for the plaintiff : Mr. Malcolm Hilbery, K.C., and Mr. C. W. Liley for the publishers and printers of the book; and Mr. Martin O’Connor for Miss Hamnett. Mr Arthur Reade held a watching brief for an interested party. Mr. Crowley, further cross-examined by Mr. Martin O’Connor, was asked to “try his magic on Mr. Hilbery, to attack and to see if he could do him any harm.” Mr. Crowley declined to do so. Is that because you are too considerate or because you are an impostor? – I have never done any harm to any human being. Mr. Justice Swift. – We cannot turn this Court into a temple. Mr. O’Connor. – You say that on one occasion you rendered yourself invisible. Would you like to try to do so now, for if you do not I shall denounce you as an impostor? – You can ask me to do anything you like, but it will not alter the truth. Mr. Crowley denied that he supplied Miss Hamnett with the information which she used in her book. Asked by Mr. Hilbery whether, during one of his ceremonies at the house at Cefalu, a cat was killed, Mr. Crowley denied that that was so. Mr. Hilbery. – Was some of the blood of the cat drunk by one of the people taking part in the ceremony? – No. There was no cat and no blood and no drinking. The whole thing is a fabrication. In re-examining Mr. Crowley said that no objection had ever been taken to any of his books on moral grounds except in one case, when there was a disgraceful attack in a Sunday newspaper on a book of his entitled “Diary of a Drug Fiend.” The book was published by one of the best publishers in London and one of the strictest from the moral point of view. He (Mr. Crowley) had written nearly 100 hymns. one man had written a book in his defence. Mr. Eddy – Have you at any time practised Black Magic? – No. What is the object of the magic in which you believe? – My particular branch is the raising of humanity to higher spiritual development. Dealing with certain matter he wrote in America during the War, Mr. Crowley said that he wrote what appeared to be German propaganda so as to destroy German propaganda. he reported his activities to the chief of his service , Captain, later Commodore, Guy Gaunt. 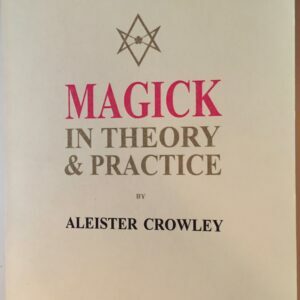 “I came back to England immediately after the War,” added Mr. Crowley, “and if I had been a traitor I should have been shot, and a good job, too.” Mr. Crowley declared that he had always written and spoken in condemnation of Black Magic. Mr. Eddy – It is suggested that in June, 1932, you saw Miss Hamnett and made a joke about the passage in her book concerning you. Have you ever regarded it as a joking matter to be charged with Black Magic? – No, I have not. Or to have said that a baby mysteriously disappeared from your house? – Certainly not. 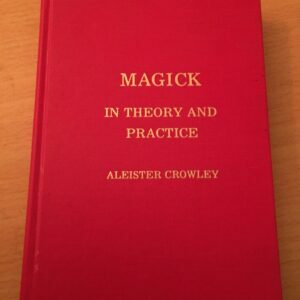 Asked by his Lordship for a definition of magic, Mr. Crowley said that magic was a science and art of causing change to occur in conformation with the will. White Magic was if the will were righteous and Black Magic was if the will were perverse. His Lordship – Does magic involve the invocation of spirits? – It may do so. It involves the Invocation of the Holy Guardian Angel, who is appointed by Almighty God to watch over us. Is magic the art of controlling spirits so as to affect the course of events? – That is one small branch of magic. If the object of the control is good then it is White Magic : but if the object of the control is bad it is Black Magic? – Yes. When the object of the control is bad you evoke evil spirits? – You put yourself in their power, but it is possible to control evil spirits for a good purpose. Mr. Carl Germer, who said that he was a German merchant now living in England, stated that he had known Mr. Crowley since 1925. He (the witness) had studied the art of magic. Mr. Crowley had never practised or advocated Black Magic. He had adopted just the opposite attitude. Many people in Germany and America admired Mr. Crowley. Mr. Hilbery, opening the defence, said that Mr. Crowley asked the jury to say that he had been defamed and that his reputation had been injured. 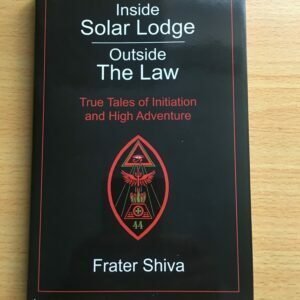 Have regard to what they knew to be Mr. Crowley’s general character and repute, would the words complained of have been read by any ordinary person as defaming him in a way which would entitle him to an award of monetary damages? Since 1898 he had written and published books and poems which he had himself described as “the excreta of Aleister Crowley.” He had put himself before the public with challenge after challenge to all those standards of decency, conduct, and morality to which ordinary people subscribed in their daily lives, reserving to himself, presumably, a freedom which might be described as unbridled licence. Having put himself before the world in that light, could he complain if the world regarded him in the light of that reputation which he had so proclaimed? In the course of the years he had gained the reputation of being the worst man in the world, but he now complained that a passage in a book of gossipy trifles by a woman who was a sort of clearing-house for the news of the artistic had made people think worse of him. He had been bitterly attacked in the Press for his “orgies” at Cefalu, but he had, until the present moment, stirred neither hand nor foot to vindicate his character. They knew that Mr. Crowley fitted the large room in the house at Cefalu as a temple, so far as he was able – a temple for magic and magical ceremonies. He named the house the Abbey of Thelema, after a known magical rite. Had the jury any doubt that, if the ceremonies were performed with the paraphernalia that was provided, Mr. Crowley was “supposed to practise Black Magic?” Had they any doubt that, in a peasant countryside, that place would be shunned? Mr. Crowley had himself said that he had performed the rites of Eluisis and that in the course of the ceremonies a being had taken human form and had been seen among them, and he admitted that he had once kept a skeleton and fed it dead animals. He had described how, both in London and in Scotland, the practise of his magic had resulted in the presence of spirits which made people go into fits or darkened the sunshine in a room. In view of that, how could he say that he had been defamed by that one chapter in a volume of chitter-chatter? 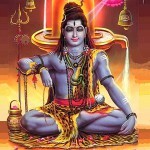 What he had done would lead any ordinary person to suppose that he had practised Black Magic at Cefalu. Mrs. Betty Sedgewick, formerly the wife of Frederick Charles Loveday, who was known as Raoul, said that she and her husband met Mr. Crowley in 1922. Her husband saw Mr. Crowley from time to time against her wishes. In November, 1922, she and her husband went to Cefalu. on their arrival Mr. Crowley greeted them with the words, “Do what thou wilt shall be the whole of the Law,” Raoul answered :- “Love is the Law, Love under Will.” Mr. Crowley asked her to say the same words, but she refused. Mr. Crowley said that she could not enter the house until she conformed to the rules. Describing the big room in the house, Mrs. Sedgewick said that there was a large red circle on the floor in the centre of which was painted a pentagram. In the centre of the pentagram was a seven-sided white altar with a red star painted on it. on it was a book and candles. In one corner of the room was a brazier and a bench, and there were some extremely improper paintings on the walls. She was required to sing a book of the rules of the Abbey before she was allowed to stay there. There was no accommodation in the Abbey for washing. Water was very scarce and generally no one washed. (Laughter.) Anyone could take a pail of water into the courtyard and sponge himself there. Mr. Crowley would sleep all day and “live” at night. At tea-time he would appear. After the meal a ceremony would take place. Mr. Crowley wore a robe with a cowl, and his “spiritual wife” also took part in the ceremony. She was dressed in scarlet, and was known as the Scarlet Woman. The ceremony lasted about two hours. The inmates sat round the circle in the temple. Mr. Crowley sat on a seat near the brazier, on which incense was burning. He would rise and make passes with a sword and go before each person and “breathe him in.” A ritual was read. on Friday’s there was a special invocation of Pan. In Mr. Crowley’s own room there were “terribly indecent” paintings. Mr. Lilley – Did you ever see any sacrifice during a ceremony? – I saw a terrible sacrifice – the sacrifice of a cat. Where was it sacrificed? – on the altar. Mrs. Sedgewick said that, after an invocation lasting three hours, the cat was killed. It’s blood fell into a bowl and her husband had to drink a cup of that blood. Cross-examined, Mrs. Sedgewick said that she thought that she had been married four times. She had been divorced three times. 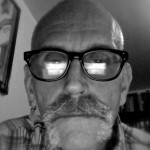 Mr. Eddy – Are you here to help the cause of justice, or are you here to sell your evidence? – Certainly not to sell my evidence. Mrs. Sedgewick agreed that she had written a book called “Tiger Woman : My Story.” A statement in that book which she had once been a member of an Apache gang in Paris was not true, nor was a statement that she had herself branded with a red-hot dagger, a young English undergraduate who was suspected of having betrayed the gang to the police. The hearing was adjourned. One question, is there another sequel? Or is there somewhere you can find out how it ended?